Drive with additional peace of mind with a courtesy check or vehicle inspection in Camp Lejeune at Firestone Complete Auto Care. We'll check everything from your wheels to your wipers! You adore your car or truck. If you didn't have it, everything would be a struggle, from getting the kids to school to making it to work on time. We understand how much you value your vehicle because we feel the same way at Firestone Complete Auto Care. That's why we always offer courtesy checks in Camp Lejeune with every service or repair we perform. (Note repairs not included and extra.) During one of these auto inspections, an experienced technician will look at your lights, fluid levels, air filter, tires, belts, hoses, and car battery to help you watch out for anything that may need to be fixed. Regular auto inspections can be a great way to safeguard against inconvenient breakdowns and pricey repairs. Need a more in-depth evaluation of your car's health? Then invest in a complete vehicle inspection in Camp Lejeune at your neighborhood Firestone Complete Auto Care. 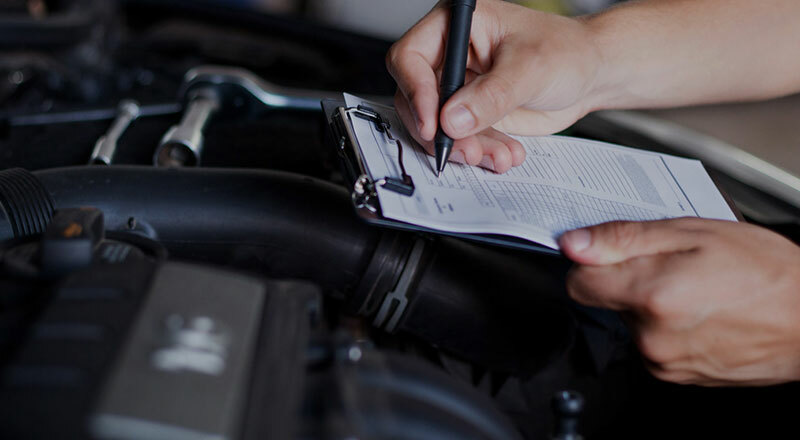 A qualified technician will examine everything that's included in our free check-ups, plus your vehicle's brakes, steering and suspension system, and exhaust to determine if they are up to par with manufacturer recommendations. Complete vehicle inspections offer the most beneficial health check your car can get. TPMS light or air conditioner troubles, an auto inspection is the right place to start. Visit your local Firestone Complete Auto Care at the first sign of car troubles. If repairs need to be made because your safety is at risk, you can trust the Firestone Triple Promise Guarantee. It’s our simple promise to you, that your car will be Fixed Right, Priced Right, and Done Right On Time. Some Firestone Complete Auto Care locations also offer North Carolina motor vehicle inspections and emissions tests, but you'll want to call ahead and confirm. So whether you need a quick courtesy check before a road trip or want to find the source of your squealing brakes, book an appointment online for a courtesy check or complete vehicle inspection in Camp Lejeune ASAP. Don't put off car care any longer! From state inspections to engine tune-ups to engine repair, turn to your local Firestone Complete Auto Care for your car repair and maintenance services. We're an automotive shop, tire store, and car care center wrapped into one. Our highly qualified technicians work hard to help keep your vehicle performing its best. When you bring your car or truck to us for maintenance, we’ll strive to offer unparalleled auto services. Explore our services and at your convenience, schedule your next courtesy check or repair in Camp Lejeune, North Carolina today.